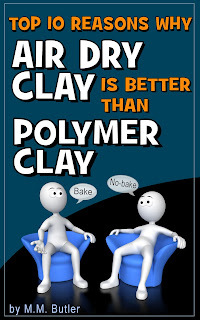 I just published my new book “TOP 10 REASONS WHY AIR DRY CLAY IS BETTER THAN POLYMER CLAY” and, as an introductory offer, I've made the book available for FREE for the next few days. Grab yourself a copy at Amazon. You can thank me by leaving a review.